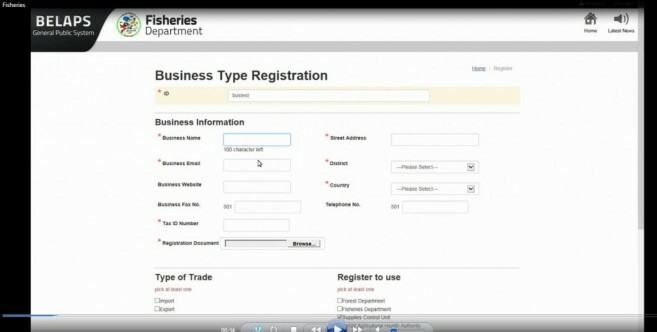 A fisherman or exporter, a broker or a corporate entity, can now get a Belize fishing license or fisheries export permit, or a forest permit from anywhere on the planet that has internet connectivity, thanks to a new online system: the Belize Electronic License and Permit System (BELAPS), which was launched at the Belize Best Western Biltmore Plaza Hotel on Wednesday morning, April 6. As explained by Chief Forest Officer Wilber Sabido, walk-in applications will no longer be accepted; but a fisherman can now apply for a renewal of his fishing license from the comfort of his living room. He would simply log on to the system via the internet, and fill out an online application form, much like the process to apply for a U.S. visa. Once the necessary fees have been paid at the local bank, or online, the application will be processed, and voila! The fisherman can have his license. The same goes for loggers in need of a Forest permit. It’s a work that has been two years in the making, and is but the first of several modules for online e-government being developed by the Central Information Technology Office (C.I.T.O. ), which is the new name for the Information Technology Center (ICT) in Belmopan, which was a gift from the government of the Republic of China on Taiwan. CITO was funded by Taiwan’s International Cooperation and Development fund (ICDF). Taiwan’s now outgoing President Ma Ying-Jeou broke ground for the ICT Center during his first visit to Belize in May 2009; and the ICT center was completed and handed over to the Government of Belize in October 2010, to become the hub of e-government development in Belize. 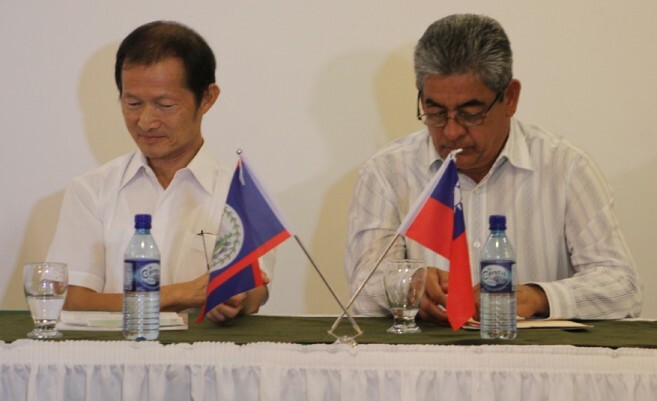 Taiwan’s Ambassador to Belize, H.E. 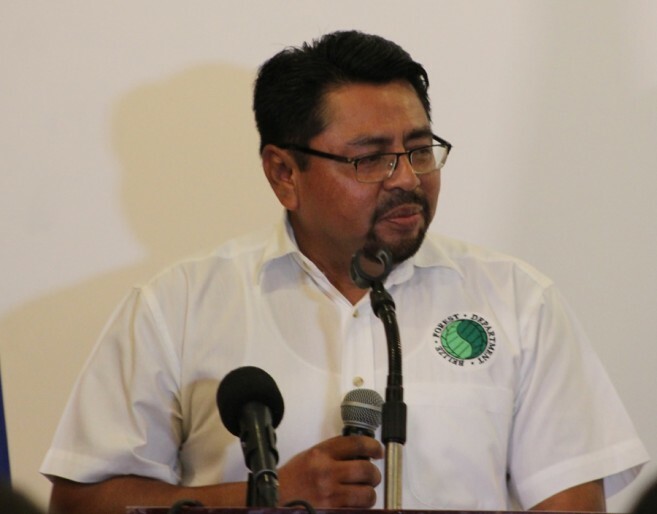 Benjamin Ho was present for the BELAPS launch, and he promised this new e-government will give Belizeans easier and more equitable access to more efficient and speedier government services. Minister of Agriculture, Fisheries, Forestry and Sustainable Development Hon. Gaspar Vega also attended the launch and he thanked Ambassador Ho for this achievement which will make more transparent governance available to all Belizeans. CITO Director Mrs. Michelle Longsworth welcomed the stakeholders to the launch. Also present for the launch were the complement of CITO staff who worked with Taiwanese IT specialist Diego Tsai and other Taiwan technicians to develop the new system. Work is already underway on similar online systems for the transport department, for driver’s license applications, vehicle registration and licensing, and online licensing procedures for the Belize Agricultural Health Authority (B.A.H.A.) and the Supplies Control Unit.